To all my faithful readers I am having another giveaway. This time it is the Christmas Taste of Home Cookbook. On page 131 is my Arabian Spiced Nuts. If you LIKE ME ON FACEBOOK then you will be automatically entered. On the 15th of December I will announce the winner. Just like last time, I will use Random.org to pick the number. So dont forget to LIKE ME ON FACEBOOK! Pat scallops with a paper towel and salt and pepper. On a plate pour the sugar and dredge the scallops in the sugar. In a skillet heat oil and butter. Add scallops and cook on medium until brown on both sides, about 5 minutes. Add tangerine juice and allow to reduce 2 more minutes. Those scallops are to die for!! They look so good. I love the addition of tangerine to this. 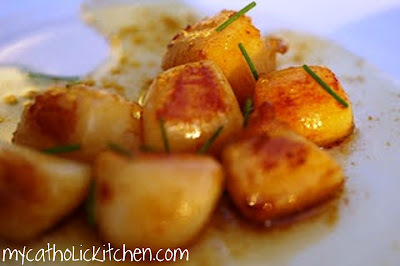 I love scallops and these look so delicious and flavorful! I already like you on fb! Oh my… I may have to take a trip to the fish market to get started on these. yum. these look delicious! i usually do a garlic / white wine sauce. great idea! These look amazing. I haven’t had scallops in a while – now you’ve got me salivating for them!!! Congratulations on the Top 9! Happy to have found your blog from it. These scallops look so delicious. What a great giveaway as well. I LIKED your Facebook page. 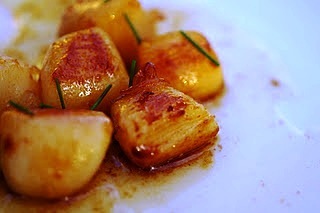 Wow, and I thought my caramelized scallops were nice–yours are even prettier! I’ve never tried the sugar, though, so I wonder if that’s the secret. 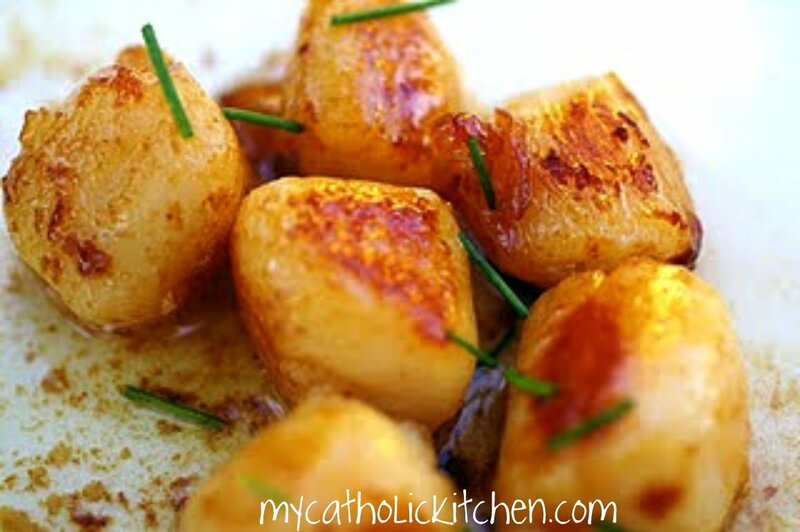 These scallops look mouth watering! The addition of the tangerine juice to create the sugar for the caramel was ingenious! YUMMY!